The December/January issue Is tailored toward summer fishing, and includes a feature on catching blue swimmer crabs, night time fishing and also chasing the trophy bream that inhabit the waterways of northern Spencer Gulf. 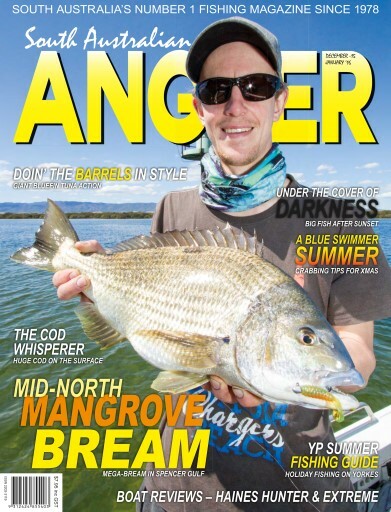 For those keen on big fish and blue water, there's a full length feature on catching 'barrel' bluefin tuna from the waters of the state's South-East, as well as an interesting piece on fly fishing for salmon trout. We test two great boats, look at the latest in tackle and share one of the most delicious summer seafood recipes you'll ever taste. Don't miss our Christmas issue. It's a beauty!